Since 7 a.m. through 6 p.m. the militants shelled positions of the Armed Forces of Ukraine two times in Donbas. The press service of the Joint Forces Operation reported that on Facebook. 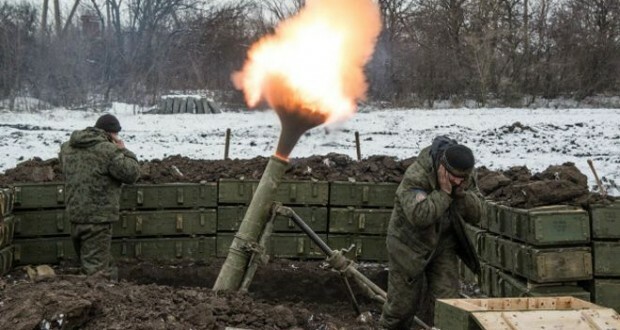 Russian occupation forces shelled the JFO positions two times from heavy machineguns in the direction of Svitlodarsk and Horlivka in the districts of settlements Svitlodarsk and Pivdenne. No casualties among JFO soldiers reported. The Ukrainian troops adhere to a ceasefire regime. As it was reported earlier, on Sunday, July 8, Russian mercenaries opened fire on Ukrainian army emplacements 21 times. It was mostly quiet in Luhansk region, except for an attack near Popasna; in Donetsk region, however, the enemy used RPGs, large-caliber machineguns, and small arms to attack Avdiivka, Mariinka, Vodyane, Shyrokyne, Lebedynske, Pavlopol and Talakivka. A Ukrainian serviceman sustained a combat wound during the fight near Pivdenne, Donetsk region; two militants were wounded as well, the Ukrainian military intelligence says.